Well, last night health care passed and how do you think the Drudge Report, edited by noted douchebag Matt Drudge responded headline-wise? 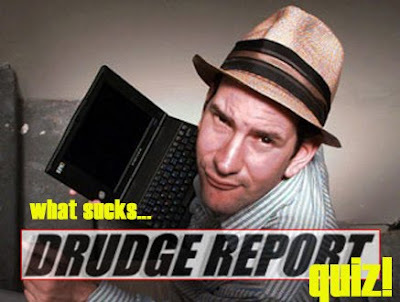 The results may surprise you, or they may not- that’s why you should take the WhatSucksBlog Drudge Report Quiz. And see if you can identify the actual Drudge Report Headline used in this website which sadly, still probably has a major influence on the all the news that gets reported. 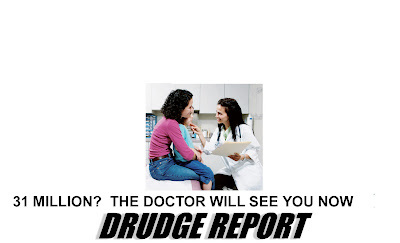 Where Drudge may be cleverly pointing our that the new law would cover 31-33 million people who previously were unable to get insurance? Or is it choice #2? 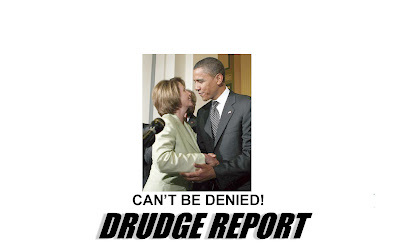 Where Drudge cleverly points out that under this new bill you can’t be denied health insurance due to a “pre-existing condition”, while at the same time showing a picture of President Obama and Nancy Pelosi, who bribed, twisted arms and did just about anything else under their power to get the bill passed? Or is it choice #3? 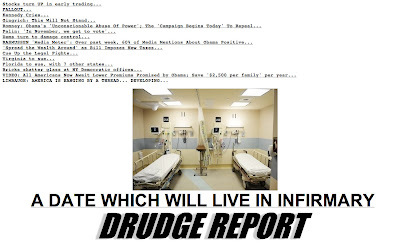 Where Drudge, much like a douchebag compares the passing of Health Care Reform, to the infamous sneak attack on Pearl Harbor by the Japanese? Answer: He’s a douchebag, so it’s #3.